New Zealand cricket great Martin Crowe MBE has been honoured at Bert Sutcliffe Retirement Village. 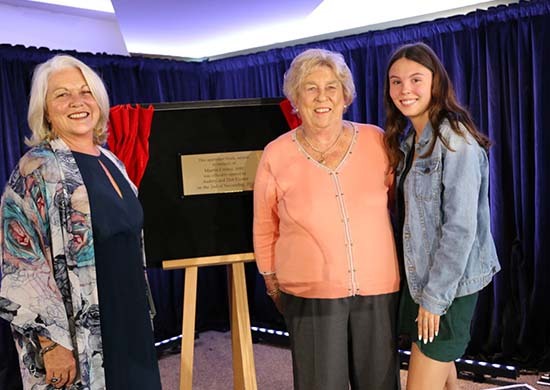 Martin's mum Audrey, sister Deb and daughter Emma were on hand to see the final block at the village named after the master batsman who died in 2016 at the age of 53. 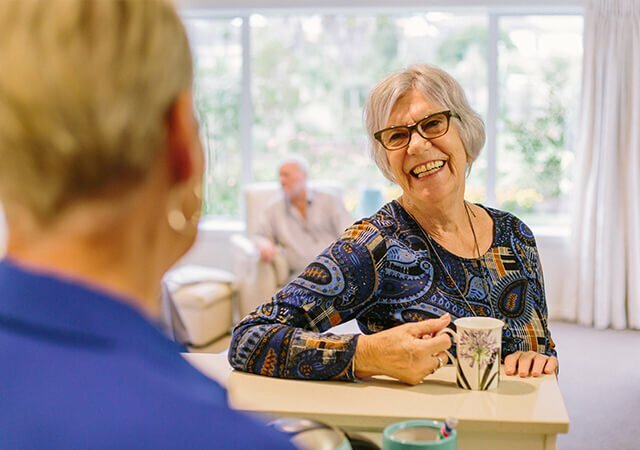 The village centre was packed with residents and visitors as the Crowe family officially opened the new apartments, which also marked the completion of the village. Deb Crowe said her brother would have been pleased. “I just want to thank Ryman Healthcare and the Sutcliffe family for inviting him into your fold and inviting us here today and for creating this wing. I can honestly say from my heart that he will be the best guardian angel over that wing. He will be right there. 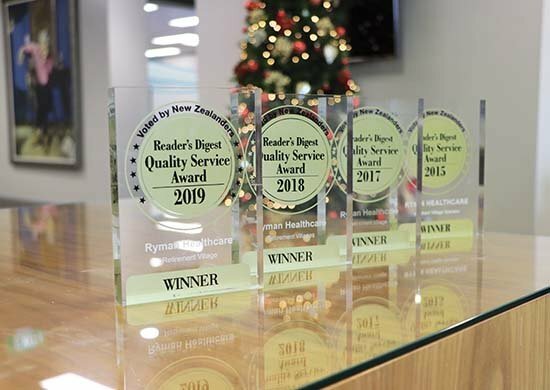 Ryman Healthcare names its villages in honour of significant New Zealanders and Australians. The village was named after Bert Sutcliffe, former New Zealand cricket captain, and each apartment building is named after a Kiwi cricketer. The 60-apartment Crowe block is the final stage in the four-year construction project. Gordon MacLeod thanked the Crowes for their support. “We were absolutely delighted when the Crowe family agreed to allow us to honour him by naming our final building in the village after Martin. “To boys like me – and to many generations of New Zealanders – he was a sporting legend. He was an extraordinary talent. “It seems to me that he was just one of those people, blessed with extraordinary sporting genes and he made the most of them. Gordon also thanked the Ryman construction team for their hard work over four years. Work first started on this site back in 2014 and at the height of the construction programme there were more than 500 workers on site. More than 996,000 hours of labour went in to the village, with the team using 486 tonnes of structural steel, 35,000 cubic metres of concrete and 720,000 bricks to build it. Gordon thanked all of the staff at Ryman who helped in the construction of the village, including Matt Hutchinson, Matt Bell, Pele Vaaga, Glenn Scott, Scott Redmond, Devon Melrose, Gordon McKenna, Ricky Ciabanu, Damien Meehan, Ben van Heerden and the members of the team still onsite. Village Manager Marika Lafl amme also officially opened the bowling green with the help of resident bowlers. 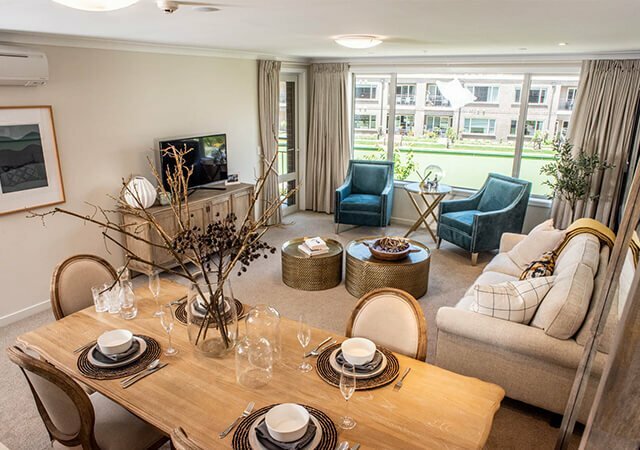 "He will be very proud as we are, really proud, to be involved with this village, so thrilled to bits and thank you so much, we really appreciate it"
Martin Crowe's family – Deb, Audrey and Emma Crowe – were on hand to open the apartment block.